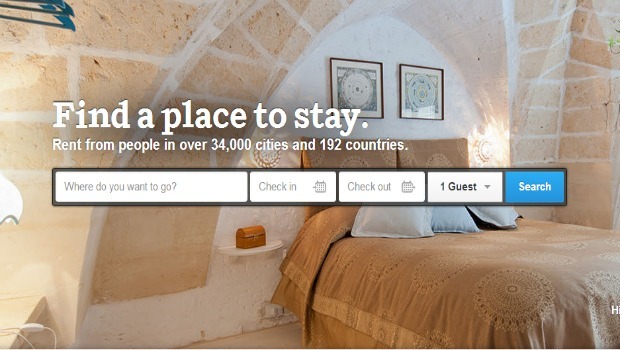 How Are Hotels Cashing In On Today’s Social Media Frenzy? Second, hotels are a mixed bag. It is difficult for hotels to get the message out about what makes them unique because there is so much variety. Therefore, hotel digital marketing is about communicating what makes their hotel unique. What interesting experiences can be had at their establishment? Here we’re going to look at how hoteliers can cash in on today’s social media marketing frenzy. Let’s take a look. Next time you’re doing a hiring round, don’t just look for somebody who is honest and will show up on time. Find someone who knows a thing or two about social media. You could hire somebody for a dual role; one to wait tables and, two, to do the hotel’s social media. People with experience of social media know how to use the different platforms to their advantage. They also have a sixth sense about which marketing efforts will work and which won’t. Using social media to link to attractions in the vicinity of your hotel is a great way to sell rooms. You can advertise the location of attractions near to you on social media using the “@” symbol. Guests are more likely to want to visit your hotel if they can see that it’s just a couple of blocks away from their favorite restaurant. Because people don’t know much about your hotel before they arrive, they’ll want to ask questions. Most hotel managers don’t bother answering questions on Facebook because they don’t see social media as a forum. Instead, they use social media as a vehicle to push out their content to improve their search rankings. Responding to questions online, however, is vital. Visitors are desperate to ask questions before they commit to spending money. They don’t want to wind up getting something that they don’t want. Always respond to questions and build a resource that future customers can then use. Review sites are an important online mechanism to make sure that businesses remain honest. Companies can’t rely on anonymity online to protect them against their own poor service. They have to deliver, or customers will complain. In the hotel industry, customers write reviews on sites like Yelp and TripAdvisor. If you get a negative review, make sure that you respond and offer reconciliation. Apologize if necessary. Make it clear to anybody reading the review that you still care deeply about customer experience. Restaurant Owners: Are You Getting Social Media Right? Social media is pretty much the perfect marketing tool for restaurants. After all, one of the key aspects of selling great food is to build a community of regular customers. All social media channels can just be an extension of that. It’s a visual experience, too – how many of your friends do you see posting pictures of incredible meals on their Facebook? Or Instagram? The trouble is, not every restaurateur gets it right. And in today’s guide, I’m going to explain some of the ways of ensuring your social media accounts are working for your business, not against it. All restaurants like to create a certain sense of atmosphere for their customers. It’s important that this tone continues when you are posting on social media, to make your client’s experience more rounded. For example, if you are an upmarket restaurant, you shouldn’t be posting pics of cute cats. Similarly, if you are a relaxed restaurant, focus on extending that atmosphere onto your social media channels. The biggest benefit of social media is that your followers do a lot of the hard work for you. But, of course, unless they follow your channels, they won’t be able to help. 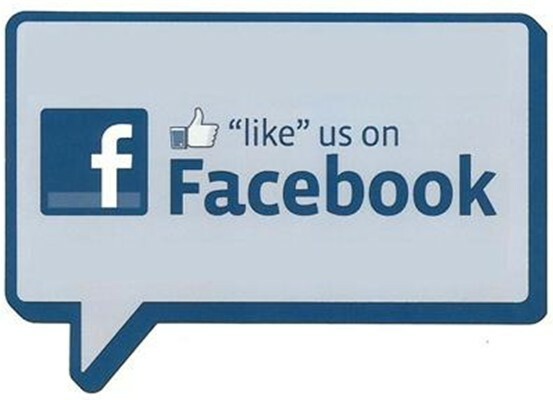 Tempt them to give your page a like on Facebook or follow you on Twitter with special deals. It might be 10 percent off, or a free glass of wine with their dinner – whatever you think is appropriate. As hospitality marketer Scodeggio Samuele states, it can have a dramatic impact. It’s a form of social recommendation – word of mouth, of you like. If the friends of your followers like what they see, there is more chance they will give you a try themselves. Many restaurateurs are a little scared of social media – and with good reason. We all know of a restaurant taking a hammering on Facebook or Twitter after poor customer service or a disastrous meal. But instead of being scared, why not see the opportunity it gives instead? If a client wants to complain in public, other people will be looking to see how you respond. If you just ignore the complaint, that won’t go well for you. If however, you appear reasonable, polite, and offer apologies, people will notice in a positive way. Everyone makes mistakes – and everyone knows it. It’s how you respond that can make the difference. Facebook ads are kind of cool – if you get them right. There are a lot of tools at your disposal that can help you laser-focus your special offers to the right people at the right time. And, of course, in the right area. It gives you the chance to provide very specifically, niche targeting that can only be seen by people in your immediate vicinity. Finally, don’t use Facebook or Twitter as a simple promotional tool. People don’t want to see advertisement after advertisement – you need to be more appealing. Offer them more value by posting interesting blog posts. Share – or curate – from other websites and Facebook pages, too. Aim to use a third of your posts for promoting your business at most – the rest should be a lot more interesting. Hope these tips have helped – let me know how you are using social media! Everyone is challenged with the amount of options when optimizing Facebook campaigns. How many ad sets should be used? How many ads should be created? Which audiences should be targeted? Which objective should be used? 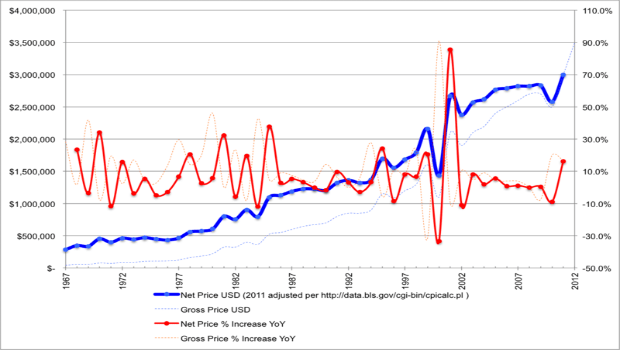 How high should the budget be? What placement? Which bidding method and what should be the manual bid? This article will help you decided which bidding method should be used and when. Of course, success can be found in many different ways so this is merely a guide. This blog post will help you get started on the right path for Facebook AD success. objectives is to optimize for a specific action — in each case, optimizing for the objective. Let’s say, for example, that you have created a campaign with a Clicks to Website objective because your primary goal is to drive traffic to a blog post. You then create an audience consisting of fans, website visitors, lookalikes or interests. If you have Facebook optimize for Clicks to Website, your ads will be shown to people within your targeted audience most likely to click the link in your ad. Facebook knows this based on user activity and their history of clicking links. According to what YEAH! Local reports, the same is true for all other optimized actions. No matter how much you spend, Facebook won’t show your ad to everyone within your target audience. They are going to focus only on those most likely to perform your desired action. This is often an area of confusion for advertisers. They have a potential audience of 100,000, and they don’t understand why the ad is only shown to 10,000 people. The reason for this is that you shouldn’t want Facebook to show your ad to all 100,000 people. By optimizing for an action, Facebook is limiting your waste, showing it only to those most likely to act. When optimizing for actions, by default you also won’t set a bid. Facebook will bid whatever is necessary to reach the audience most likely to act. As a result, CPM (Cost Per 1,000 Impressions) tends to be higher when this option is chosen. Some advertisers see this as a reason not to bid this way, but neglecting it due to high CPM would be a mistake. By optimizing for a specific action, you are wasting fewer impressions on those who are unlikely to act the way you desire. As a result, there is a benefit to paying more to reach those most likely to act. Your cost per desired action, in most cases, will be lower as a result. By default, you won’t need to set a bid. Facebook will get the most actions at the best price, whatever that is. But you will have the option of manually setting what that action is worth to you. Note that this isn’t a true “bid.” Facebook will attempt to keep costs per action below that threshold, so that acts as a guide for how Facebook will bid. Regardless of whether you allow Facebook to bid automatically or you set an action value, you will be paying for impressions and not actions. So it doesn’t matter whether you get 10 or 10,000 actions, you will be paying based on impressions.Personally, I’d always start with having Facebook automatically bid for you. Once you know what you’re doing and have the budget to experiment, feel free to split test with the manual option to see what works best for you. When this option is selected, Facebook will show your ad to as many people within your target audience as possible, but no more than once per day. In this case, Facebook is not optimizing to show your ad to people most likely to perform a desired action. If you want Facebook to reach 100,000 people, Facebook will try to show your ad to as many of those 100,000 people as they can, regardless of the likelihood of those users performing your desired action. Once again, you will be paying for the impressions, not the actions. So it doesn’t matter how many actions you get, your cost will depend upon your bid and the number of times your ad was shown. You will need to set a maximum bid to tell Facebook what reaching 1,000 of these people is worth to you. This cost will be lower than what you pay when optimizing for actions, but expect it to be higher than when using regular CPM. This bidding option is likely the most misunderstood. Optimize for Clicks is another way for saying that you are using the Cost Per Click (CPC) bidding method. In this case, you will be paying for the clicks made to your ad. Understand that a “click” is not necessarily a link click. This includes any click on your ad, which could be a photo click, comment, like or any other random click. clicks is bloated with many clicks that don’t mean anything, devaluing the CPC. If your goal is engagement, however, this is a good option. In that case, Facebook will show your ad to people most likely to click anywhere on your ad. You will have options of allowing Facebook to automatically set the bid (get the most clicks at the best price) or set the maximum you’d be willing to pay per click. 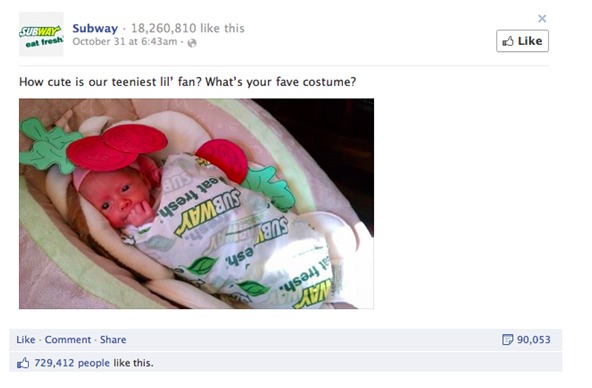 Again, if you don’t know what you’re doing just roll with Facebook’s default here. Once you get more comfortable and have the budget to split test, feel free to experiment with your own maximums. Facebook does provide a recommended range for entering a maximum that would be required to reach your selected audience. Note that this is a maximum, so Facebook will bid no more than that amount to serve your ad. If you optimize for impressions, Facebook will show your ad to as many people within your target audience as many times as possible. This is similar to Daily Unique Reach optimization, but without the single daily impression limitation. As is the case with Daily Unique Reach, when this option is selected Facebook will not optimize for a desired action. You will pay for impressions, and the cost to reach people should be low given that Facebook won’t need to be picky about whom to serve your ad to. You will be required to set a bid, indicating the most you’re willing to pay for 1,000 impressions. As is the case with CPC, this is the maximum — Facebook will bid up to that amount to show your ad.While bidding CPC or CPM, you should make sure you bid high enough. Bidding too low is a primary reason for not getting your ad shown. What Should You Use and When? Optimized for Actions: I’d recommend using this in most cases. It works best when targeting large audiences (so that Facebook can pick out the top percentage most likely to act), but that doesn’t mean that this method can’t work for small audiences, too. But if you are going to target a small audience with this method, just make sure that your budget is low as well. I consider $5 as an average CPM. So if I’m targeting 10,000 people, I’d expect Facebook to optimize and show it to about 1,000 of those users. In that case, a daily budget of $5 would be sufficient. Optimized for Daily Unique Reach: I would only use this approach when targeting an extremely relevant audience. In other words, it doesn’t matter which person within your target audience is served your ad, all are equally likely to perform your desired action.This is rare, but an example of when you’d want to use this is when targeting a very small audience — like an email list, for example. This method would be chosen over CPM to avoid the high frequency that can happen when bidding too high for a small audience. By using Daily Unique Reach, you can max out your bid and reach as many people within your target audience as possible, but you won’t waste any of your budget on high frequency impressions on the same user. sense is when promoting a photo or some other post that doesn’t include a link. That doesn’t mean that you won’t find success optimizing for clicks when your objective is driving website traffic or conversions. However, I’ve found it much less effective overall than optimizing for your desired action. Optimized for Impressions: You just want to show your ad to as many people as possible as many times as possible. As is the case with Daily Unique Reach, your target audience should be as relevant as possible. Be careful about your budget, however, particularly if you show the ad in the sidebar (where frequency is not capped). Frequency can get out of control in a hurry, which means you’ll begin wasting money on extra impressions to the same person. Reaching the same person more than once in a day isn’t necessarily bad, but there is a point where it will become wasteful. What bidding methods do you use and when? 1. Choose to set a daily budget or a lifetime budget for a campaign. 2. Submit bids on your ads. Submit high and low bids for your ads, higher bids result in higher CTRs. Fans of what type of business pages? 4. Create ‘Saved Target Groups’ using the Facebook Power Editor and market to them consistently. Power Editor is a great free plugin on Chrome that allows you to manage your Facebook advertising more efficiently. 5. Play around with narrowing down your audience. While a large audience means equally large budgets, any audience that is too small will not give you the results you want. Keep the audience numbers in at least a few thousands to get measurable results. 6. Track conversion of your Facebook ads using Offsite Tracking Pixels. These are also called conversion pixels and tell you exactly how many fans went from your Facebook ads to your website and eventually made a purchase. Reconfirm this number using Google Analytics. 7. Optimize and recalibrate your Facebook ads regularly. There is a chance that with the changing audiences that Facebook attracts every day, your older campaigns maybe languishing in their performance. Any campaign that shows CTRs under 0.035 needs to be re-calibrated ASAP. 9. Reach out to subscribers of your email newsletters via Facebook Ads. You can do this by creating a custom list that can be uploaded into Facebook via a simple CSV file or through your email service provider and that does not include your current Facebook fans. 10. Rotate the creative for your Facebook ads on a regular basis. You can upload up to 6 images per ad to keep them fresh and interesting to your readers. Taking your Facebook presence from a handful of disengaged fans to a flourishing community that contributes directly to your bottom-line is not rocket science. All it takes is a pinch of dedication, a dash of hard work and a big helping of creativity. I have worked to put together this Free Facebook Training video, packed with tons of value and advanced strategies to grow your business page and business on Facebook! Woot! Woot! Virtual HIGH FIVE!! 🙂 I love serving, each and every one of you. I really want you to implement and execute each strategy I discuss in this video training session below. Take out your pen and paper, and start taking notes now!! Go, Go Go!!! You will love the insight and strategies you can take action on right now. I discuss content marketing strategies, ways to make money on Facebook even if you don’t have your own business, and free ways to grow your Facebook Page without having to buy Facebook ADS. You will love the strategies and its all free for you. Please let me know, what insights you have found useful and helpful, and what you would like to learn more about in the comments below, or comment below in the video or tweet me at www.twitter.com/socialmediawithrita or if you prefer Facebook at www.facebook.com/socialmediawithrita Click Play To Reap Your Business Success on Facebook now 🙂 Enjoy! Stop being boring and copying everyone else on Social Media, if you want to be ignored then your wish is granted if you lack creativity. You need to stand out in social media. Posting quotes or articles from other blogs is not enough to increase brand awareness. Read below for examples of successful social media campaigns. Campaigns that react to the needs of online followers and/or customers usually results in massive brand awareness. All are examples of social media campaigns that infuse creativity to shift people into action. Motivating people to action is one goal of using social media for your brand. 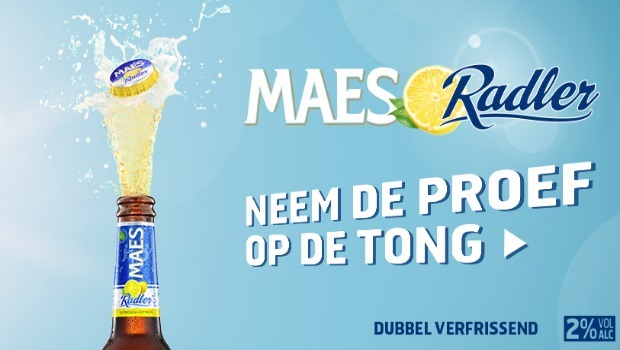 Maes Beer was motivated to increase their market share that lead them to think of a creative social media strategy. They wanted to incorporate two powerful forces into their strategy – family and social media. They offered a free barrel of their beer to everyone with the last name ‘Maes’ on one condition…they had to share with 20 of their closest friends. Naturally this took off like…well, like free beer often does. More than 7,000 people changed their last names to Maes on Facebook. Maes Beer received over 75,000 Facebook likes in a single day…and 500,000 visits to their Facebook page in six weeks. Sevenly uses social influence to raise awareness for charities and nonprofits while also raising awareness for the Sevenly brand. People naturally want to help when it’s for a good cause, but not everyone can donate money. Sevenly understands this, so instead, they ask people to donate to the cause by sharing via social media. The brand also has another way of leveraging its community for support. Every week Sevenly teams up with a new charity for 7 days. They create a brand new design promoting the charity, slap it on a T-shirt and then sell it from the website. 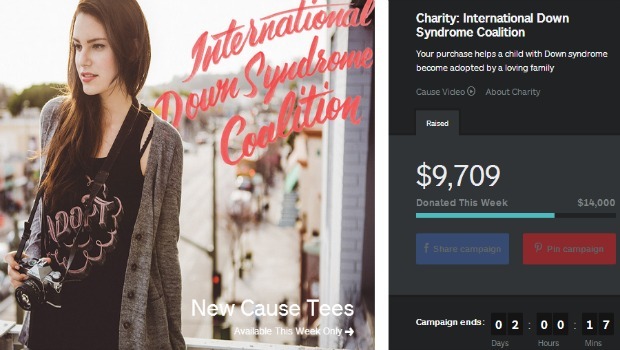 For every shirt they sell, Sevenly gives $7 to the charity. The Ushuaia Tower is setting the standard for technology in the hotel industry. During the summer of 2013, the Ushuaia Hotel merged technology and social media to allow guests to have a one of a kind experience that they could share with friends and loved ones. Guests receive a free RFID wristband upon entrance to the hotel. 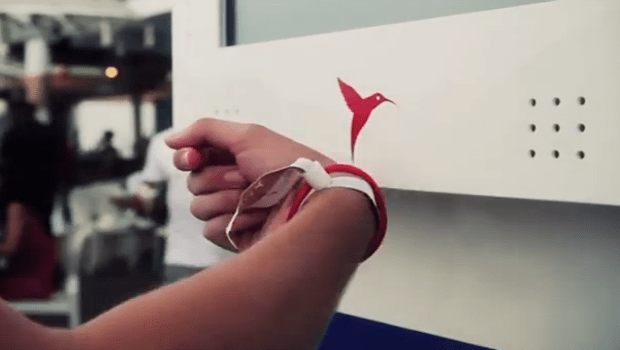 They use this bracelet by swiping it at a number of designated areas throughout the property called ‘FaceBook Pillars.’ Once logged in, guests can like an event, take a photo or check in. From their rooms, guests can also use the bracelet to play games, chat, create personal play lists and enter the hotel’s DJ contest. Uniqlo wanted to raise awareness for their new ‘Dry mesh T-shirts’ they had to do something totally different to overcome the noise of online fashion in social media. Pinterest was the obvious platform of choice. However, pinners seem to scroll aimlessly through boards until something grabs their attention. Well, Uniqlo came up with an idea to do just that. With about 100 users simultaneously pinning, Uniqlo essentially hijacked the streams of every pinner that was logged on at the time. 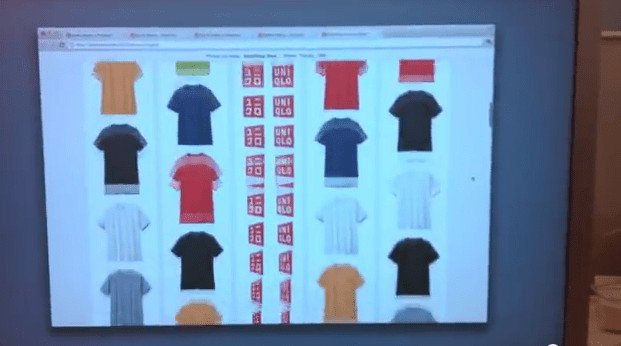 Users that were scrolling aimlessly got an awakening experience by seeing Uniqlo’s T-shirts turning, flipping and changing colors as they scrolled. Hijacking Pinterest gained them about 55 million impressions, used no paid media and generated more than 6,000 mentions on Twitter. 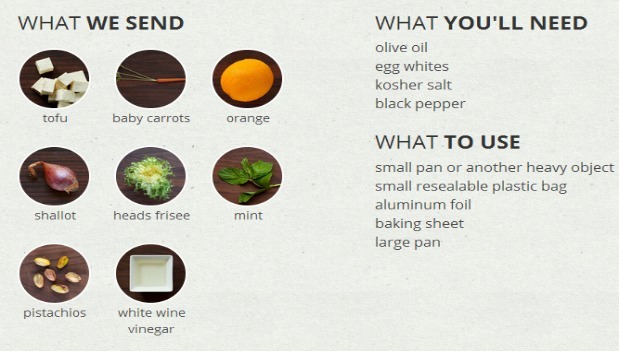 Plated gives its customers chef quality recipes and delivers the ingredients that make them. Plated uses its YouTube channel to show customers and other viewers how to make mouth watering recipes that inspire them to have Plated deliver the ingredients. Follow their Twitter account and you’ll learn about everything from creating a five star meal, to how to photograph the meals from different angles. Plated aspires to be utilitarian – and that almost always gets attention from social media. Instead, the hunter reaches out of the frame to grab a tippex and whites out the word ‘shoot’ – leaving the field blank for viewers to decide what happens next by typing in whatever they want. It’s kind of addicting which is probably why the clip has received more than 21 million views. 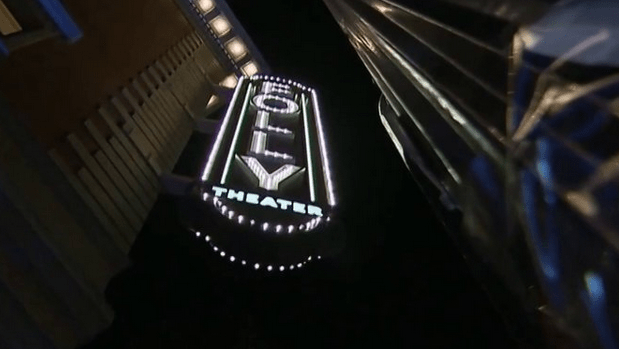 Wanting to reach a younger audience, the Folly Theater in Kansas City Missouri decided to do something most theaters would never even consider. They began allowing audience members to keep phones on during the show. In fact, they encouraged it. Using an app, the audience members are encouraged to help direct the show. The audience can vote on everything that happens during the show basically creating their own interactive experience. Theater goers vote on everything from which props and costumes the cast uses to which songs they should sing. Audience members even vote on how much clothing the burlesque dancers should wear. Everything during the show is shareable which creates an immediate buzz for the theater. There’s a revolution going on in Ontario…a Burger Revolution. 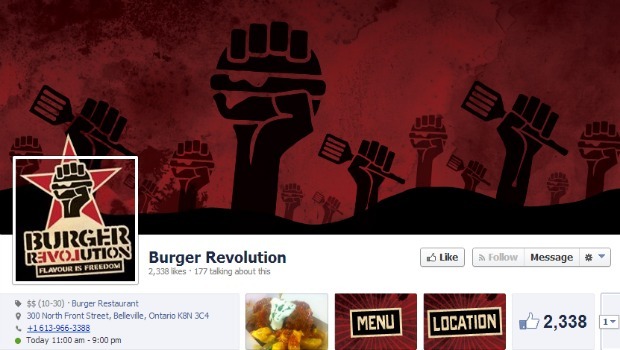 Burger Revolution have created quite the local uprising with their presence on social media. Burger revolution’s tactics are simple but effective. They keep fans informed on the number of remaining burgers for the day. This highlights specific burgers and creates a sense of urgency. They also like to post a “comment of the day” which is simply a picture they took of a user’s comment. This has become a tradition the fans love. The burger joint’s FaceBook page now has more than 2,000 likes. Since its inception, ‘Vine’ has received lots of attention from not only marketers but from millennials too. Creative six second videos are becoming more and more popular. Airbnb reached out on Twitter for six days by tweeting a ‘shot list’ and asking users to shoot one of the shots in the list. 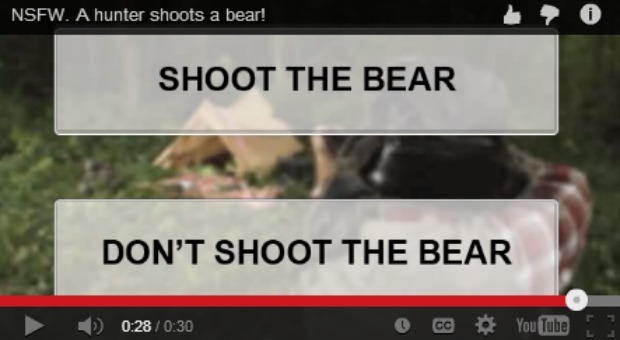 Users would follow the director’s instructions for a given shot and then share it. For shots that were chosen, Airbnb offered $100. There were more than 750 submissions of which, about 100 were used in the short film. It was the first short film directed via Twitter. It got wide exposure – even gaining the attention (and more importantly the retweets) of actors like Adam Goldberg and Ashton Kutcher. 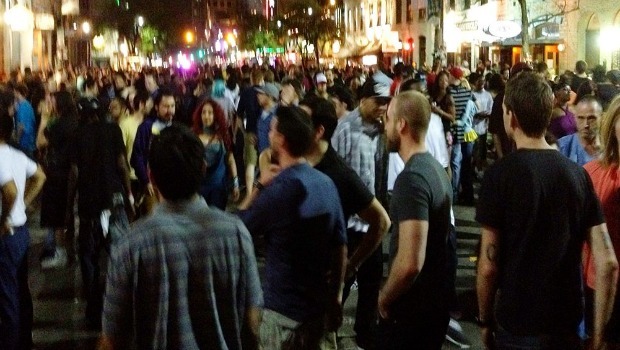 In 2012, Waggener Edstrom wanted to hit SXSW with something new. Instead of using typical marketing tactics and broadcasting how great they are, Waggener Edstrom, decided to just be useful. And when you’re at SXSW there’s nothing more useful than a frosty brew. So they teamed up with ‘chirpify’ to develop an app that would allow you to buy your buds’ a beer via Twitter. The tweet-a-Beer app connected your Twitter account to your Paypal and allowed you to send $5 to any twitter handle you chose. Since beer is the social lubricant, the app resulted in countless face to face meet-ups that might’ve otherwise never happened. The app instantly gained massive national attention and was covered by numerous mainstream media outlets. Online Jewelry store BaubleBar has recently opened two locations in New York City where they’ve combined real world shopping with all the qualities of the Web. Shoppers can interact with any piece of jewelry they choose from BaubleBar’s unique display cases. 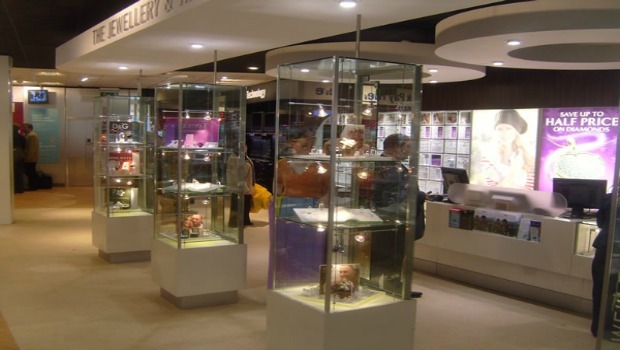 When a customer chooses a piece of jewelry, the display case offers information from the website, such as, how to wear the jewelry and more. But they’ve also integrated social media. In addition to the information from BaubleBar.com, customers can see pictures of other women wearing the jewlery. Most images are pulled from Instagram using special hashtags so the images are from other customers, not models. 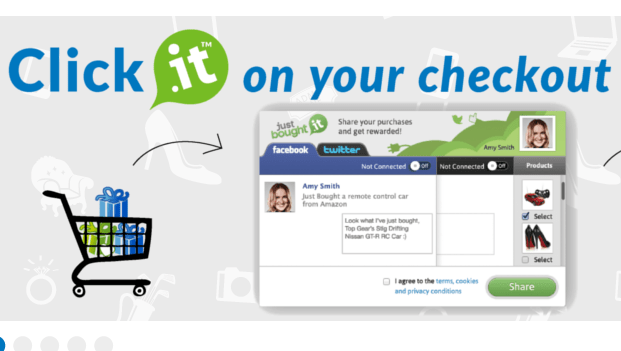 Looking to take social recommendations to the next level, JustBought.it uses Twitter to show purchase activity. Justbought.it encourages its users to tweet every time they make a purchase so that other users will see the purchase and can then ask and receive general information about the product. Tweets include a picture of the purchased item and a location. The information is then served up to users and sorted by category, location and date. JustBought.it is currently integrated with Shopify, Microsoft.net, Magento and more. 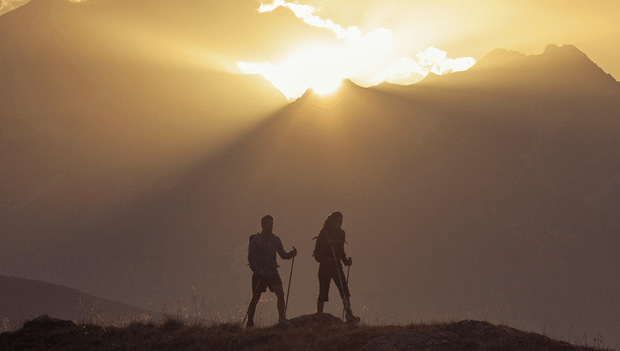 Wanting to raise awareness for their outdoor hiking gear, Quechua took to their FaceBook timeline to create a memorable experience for fans. Quechua posted more than 300 sequential images of a man hiking up a hillside to a special FaceBook page. Fans could scroll through the timeline to experience the man getting prepared for his hike by sleeping, tying his boots and then hiking the hill. The timeline essentially works as a stop motion commercial. With ride sharing apps becoming more and more popular, Sidecar started looking for a way to stand out. 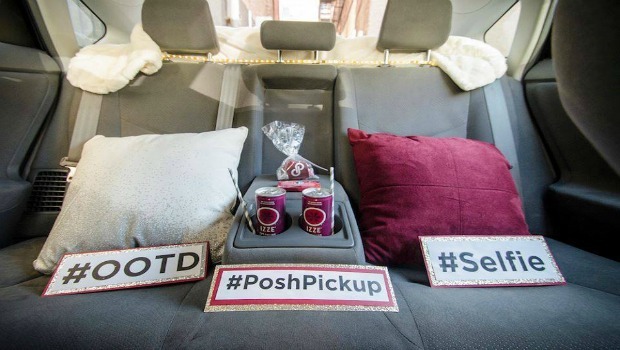 They teamed up with popular bloggers, designers and fashionistas to have them take over and decorate three sidecars. Riders must take a photo of themselves in the sidecar and share it to Twitter and Instagram with the hashtag #tastemakertakeover and they could win one month of free rides worth $1,000. An independent record label and self proclaimed fun loving Burger Records is inviting fans to throw shows all over the world. 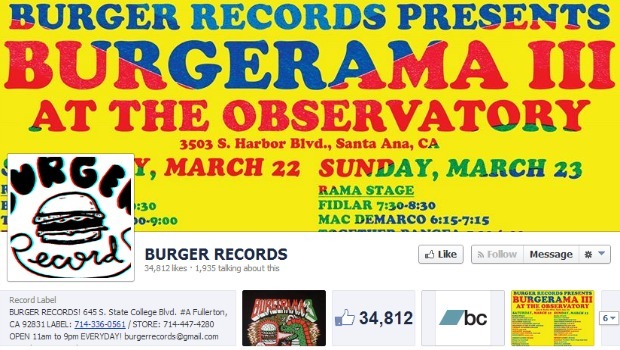 All you have to do is setup a show and Burger Records will promote it. The only stipulation is…well there really isn’t any, except that it has to be fun and it has to involve music. Fans without means to set up a show can instead throw a record listening party. In 2013, Burger records did 70+ shows. This year they’re on schedule to do even more – from China to Denver. The shows have gained Burger some nice exposure with fans. They currently have over 34,000 Facebook fans, more than 20,000 Twitter followers and almost 18,000 on Instagram. You can plan. You can strategize. But sometimes situations present themselves. By rising to the occasion you can create a viral campaign without even trying. Of course Richard was joking (kinda), but the comment got lots of attention. Body Form decided to rise to the occasion by releasing a video response to the comment. The video has seen more than 5 million views. Neil’s comment has more than 104,000 likes and almost 5,000 replies. 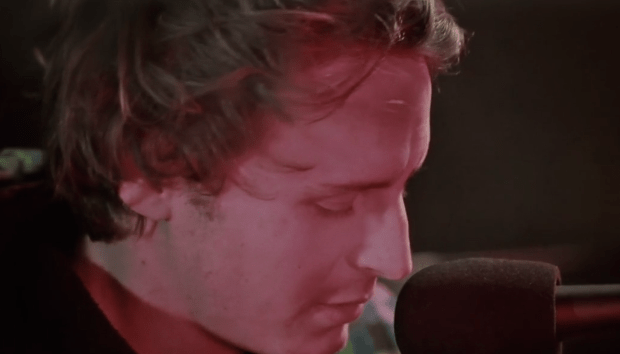 Small marketing and film agency Sensu was tasked with promoting recording artist Ben Howard’s next music video. But since Ben is no Bieber, Sensu had their work cut out for them. Instead of using traditional marketing, Sensu created a FaceBook event page and told everyone there was going to be a free concert with free beer. With a little help from the local media, they quickly drew a crowd of more than 500 people. Sensu essentially created a flash mob. Since the local media was already involved, the event was covered in newspapers, radio shows and blogs. The video has gotten more than 1 million views and almost 8,000 likes on YouTube. Wanting to raise awareness about breast cancer, Ogilvyone created the Tweet bra. And it does exactly what it sounds like it does. The Tweet bra tweets every time its unclasped. Tweets include various serious and funny reminders to women that they should get monthly breast exams. Marketing to younger audiences can be tricky, especially when you’re marketing a bar or pub. Most people don’t trust standard advertising anymore and the younger generation is practically immune to it. But PODZEMKA was determined to bring in younger customers with advertising that spoke to them. Their answer was user generated content. They set up a page on their website where customers could upload photos of themselves using templates and pre-written slogans. This allowed party goers to create their own unique ads to share with friends. The ads were also automatically shared through social media and were quickly seen everywhere. PODZEMKA noted a 50% increase in traffic to their website. In total, there were 1,000 new advertisements created. 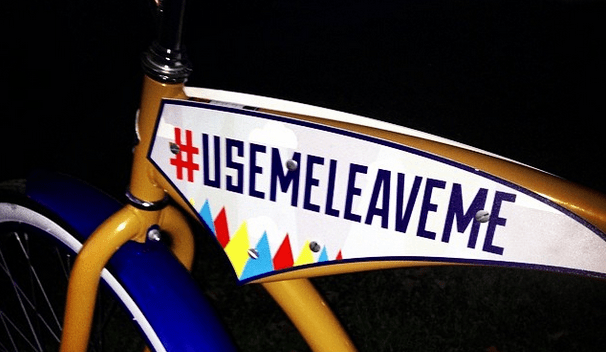 Wanting to show off their creativity, digital agency RazorFish created the#UseMeLeaveMe campaign. Bicycles, GPS, Twitter and a few free rides are about all there is to it. In total, 20 bikes were available to ride for free at the annual SXSW festival in Austin. Each bike had its own personality and it’s own Twitter account. The bikes shared location information while riders made their way around the event creating considerable buzz in the process. Social media contests are a great way to increase engagement quickly. 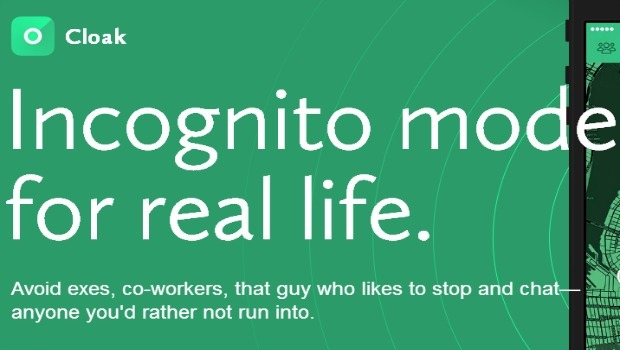 One contest created by marketing agency Thinkable Digital was somewhat unique. The “Guess the Campaign” contest ran on Thinkable Digital’s FaceBook page and required fans to identify the brands behind various popular social media campaigns. The winner of the contest was to receive a full social media evaluation. Runner up would get a Twitter evaluation from the company, and third place would be featured on the Thinkable Digital FaceBook page. Sometimes considerable social buzz can be created by a simple mistake. 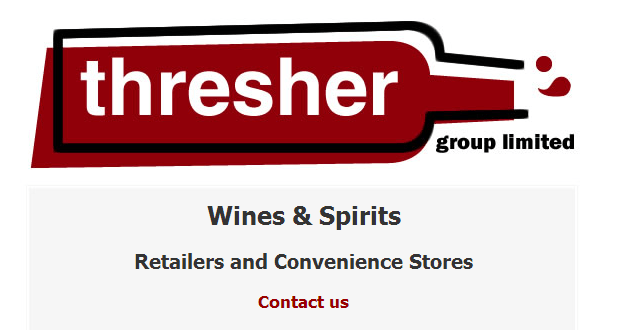 After sending a sales voucher for 40% off to its customers, Threshers started to notice a loss. The company then came out publicly to say that it was sent out “accidentally” and that the sales voucher was for suppliers use only. Naturally, this made the frenzy bigger and created quite the local buzz for Threshers. Will it blend? 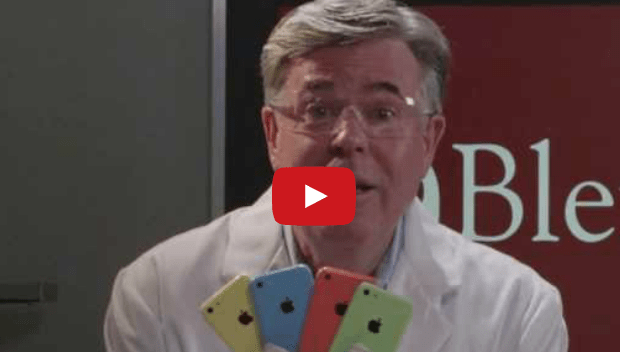 That’s how Blendtec’s CEO Tom Dickson started every video in this highly successful campaign. Everything from hockey pucks to rake handles were shoved into a blender and pureed. Recruit Military works with veterans from all branches when making the transition back into civilian life. The company’s FaceBook page is the hub of all their social media activity. Each Friday, they ask fans to post the type of job they want and Recruit Military replies with thousands of matches from their job board. The engagement they get on the FaceBook page is admirable with each post getting an average of 10 or more comments. 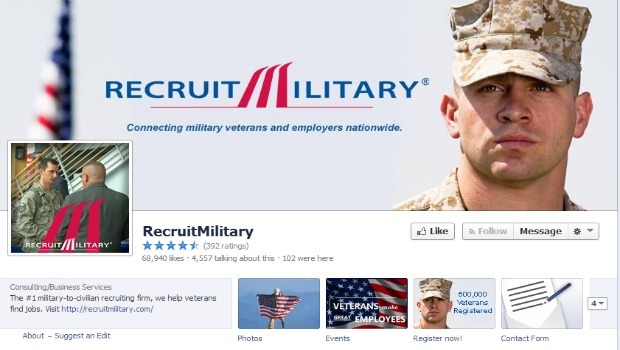 Recruit Military currently has more than 68,000 likes. 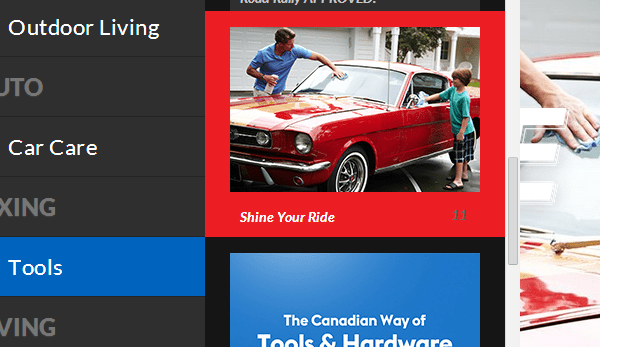 Wanting to stay relevant, Canadian Tire set out to create something new. They put together “The Canadian Way,” a digital catalog which highlights their products with user generated content. By reaching out to Canadians and asking for their stories, Canadian Tire received overwhelming response. They got countless stories from Facebook and other popular social media platforms. What they ended up with was something containing all the ingredients of the most successful social media campaigns. The company’s catalog is interactive and uses engagement with ‘everyday people’ who use the company’s products. As of now, The Canadian Way has received more than 3 million page views with 15 pages viewed (on average) by each visitor. While promoting Australia as a holiday destination, Tourism Australia created the famous “Best Job in the World” campaign. Over the course of the campaign, the company offered dream jobs — a 6 month salary worth $100,000 each — to six lucky people. Dream jobs included such titles as chief funster and lifestyle photographer. To enter, applicants were asked to make a short video explaining why they were the best choice for the job. The contest quickly went viral and received more than 330,000 entries from 196 countries. 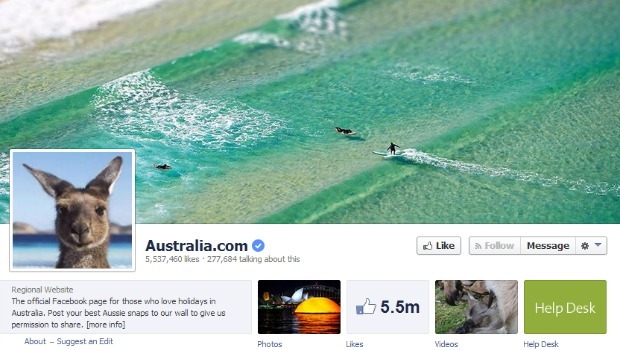 Tourism Australia’s FaceBook page grew from 400,000 to its current status of 5.5 million in the process. Visitors were asked to find and click on Dain (a SmartBear developer) who was hidden in various spots throughout SmartBear.com. Once they found him, a Twitter box appeared asking users to enter to win a T-shirt by tweeting the message which included @SmartBear and a special hashtag. 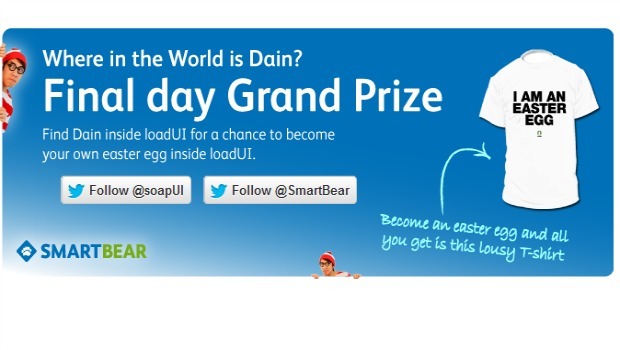 The campaign is said to have doubled the @SmartBear mentions and increased traffic by more than 120%. Great running shoes aren’t cheap, so buying a nice pair online is sometimes scary. The team over at Optimal Run understands this and they’ve gone the extra mile to make buyers feel more comfortable about their purchases. 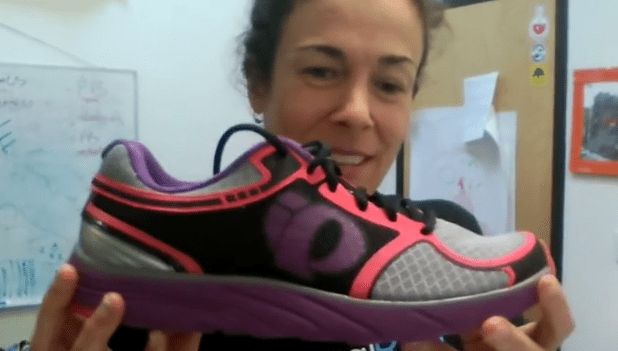 Using their YouTube Channel , Optimal Run creates a personalized video for each shoe. They answer common questions that come from their Facebook page and website. The videos also offer an overview of the shoe, best usage and other information visitors want to know. You can get one of the best running shoes at ShoeFinale . This is a great example of using social media for customer service. The videos have increased traffic to Optimal Run’s website by more than 150%. Cloak is a location-based app for the iPhone operating system. It’s a clever use of social media for the socially awkward. Cloak allows you to see if any of your friends are nearby by using the information from your social networks. The idea is to avoid those accidental run-ins with the people you like a little less than the others. After a long day of traveling, Shankman jokingly tweeted that he’d like Morton’s to bring him a porterhouse steak once he landed in Newark. Because Morton’s monitors their twitter account closely, they saw Shankman’s tweet and decided to make his wish come true. They sent someone to the Newark airport which was 24 miles away with a 24 ounce porterhouse steak, colossal shrimp and a side of potatoes. This, of course, involved more than simply making a meal and delivering it. Get permission from the higher-ups. Wait at the Newark airport. It was a simple use of twitter but it gained Morton’s steakhouse tons of exposure and even more trust. Shankman immediately shared the story on his blog which has since gotten more than 6,700 tweets and 10,000 shares on Facebook. Creativity is gold, videos are effective in social media marketing, and listening to your online followers is essential in developing your social media strategy.